We’d love your help. Let us know what’s wrong with this preview of The Face of the Deep by Paul J. Pastor. Many Christians don’t have a clear idea of the Holy Spirit’s role in their life. Yet Scripture is full of stories that show the Spirit as a vibrant, personal being. The Face of the Deep invites you on a quest for the Holy Spirit that journeys through our world and Bible. The adventure is infused with wonder and symbolic imagination—from the black void of Genesis 1 all the w Many Christians don’t have a clear idea of the Holy Spirit’s role in their life. Yet Scripture is full of stories that show the Spirit as a vibrant, personal being. To ask other readers questions about The Face of the Deep, please sign up. Some may think this rating unfair. However, it must be said that this book reads much more like a man's ruminations on what he thinks about the Holy Spirit of God than it does a book that should drive a biblical understanding of the person of the Holy Spirit. It dips into some very strange territory when he does thinks like quoting Cherokee pagan mystical writing to somehow support the biblical narrative. Overall, the book feels falsely spiritual. In content it is not without merit, but in its st Some may think this rating unfair. However, it must be said that this book reads much more like a man's ruminations on what he thinks about the Holy Spirit of God than it does a book that should drive a biblical understanding of the person of the Holy Spirit. It dips into some very strange territory when he does thinks like quoting Cherokee pagan mystical writing to somehow support the biblical narrative. Overall, the book feels falsely spiritual. In content it is not without merit, but in its style it seems to render the Holy Spirit to some impersonal force that somehow exists in every object, plant, and animal like a New Age mother earth. It speaks to biblical truth about the Spirit but never lets Him rise up and be who He is as God. This was a really hard book to download and read in two days as the archive date was sooner than I realized. 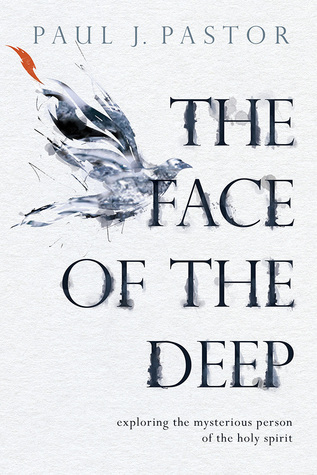 I was hopeful that that The Face of the Deep was going to help me meet my other goal of knowing more of the Holy Spirit based upon the description of the book.but that was not the case for me. I believe the book is intended for all Christ followers who desire a deeper relationship and knowledge of the Holy Spirit. I felt that the book was the author's thoughts on the subject - sort of lik This was a really hard book to download and read in two days as the archive date was sooner than I realized. I was hopeful that that The Face of the Deep was going to help me meet my other goal of knowing more of the Holy Spirit based upon the description of the book.but that was not the case for me. I believe the book is intended for all Christ followers who desire a deeper relationship and knowledge of the Holy Spirit. I felt that the book was the author's thoughts on the subject - sort of like a diary, or a daily journal - as opposed to a book guiding us to come to know more. I felt that because it seemed a bit scattered, I wasn't able to pick up the book and read it cover to cover. Instead I had to read sections at a time and put it down. Once I took a break or two, I could pick it up and read a bit more. Overall, it might be a great book for someone who wants to read a few pages and then reflect on them versus an actual book you read through in one sitting. Easily one of the most masterfully crafted literary experiences of the Holy Spirit I have ever encountered. This book is laced with beautiful, artful language making evident the mysteries of the Spirit through biblical text, analogy, and personal experience. Incredibly formative in my understanding of the Holy Spirit, and I would definitely recommend this book. Pastor is a story teller, and here there are many great stories and hints of the person and work of the Spirit. It is not a theological treatise but an whimsical exploration through illuminating experiences of the author. All the poetic writing though seemed to oversell things other than the subject. Not many books about the Holy Spirit are being written today. This is a rather unusual approach. The author is a master of words. However, there are times when you almost get lost in the words and wonder what is being said. The author paints word pictures and there are some beautiful passages. As books on the Holy Spirit go this one was good. Well written and organized in a way that made sense. Good reminder of Christian belief that gets lost in the shuffle. I only read half of this book so any review I post is unfair. Being an evangelical-Pentecostal half breed of sorts, I thought this book would be a good middle ground book on the Holy Spirit. I got a few good quotes, but overall it didn't really feel like much was being said. There's a few references that make no sense and some stories that don't seem to really line up with the points being made. And while the author has a poetic spirit, it often seemed to make simple things sound odd, as though I only read half of this book so any review I post is unfair. Being an evangelical-Pentecostal half breed of sorts, I thought this book would be a good middle ground book on the Holy Spirit. I got a few good quotes, but overall it didn't really feel like much was being said. There's a few references that make no sense and some stories that don't seem to really line up with the points being made. And while the author has a poetic spirit, it often seemed to make simple things sound odd, as though he had to make it sound deeper than it was. I read a bit daily in quiet time but still had difficulty identifying with the book's flow. Perhaps I should read a synopsis more carefully next time. I love it and recommend this great read. Enlightening the role of the Spirit in our lives! Step into these pages, come out singing with joy. A book to read slowly, though not as slowly as I did! I took breaks sometimes, I had to be in the right frame of mind to read it and be in a quiet place. Lots of food for thought, I loved it. I was extremely moved at times, in the way beautiful music, or an epic story on the big screen will sometimes bring you to tears. Maybe it was just the right book for me this year.